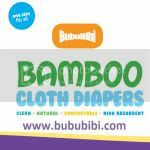 BubuBibi - www.bububibi.com - Bamboo Cloth Diapers: What did you get your kids this Christmas???? What did you get your kids this Christmas???? I guess my boys wouldn't know to get on my blog, so... it's safe to post what I got for them? Ok, pregnant with the 3rd boy, I really am not sure what to get all of the boys next year. I virtually got nothing for DS2, only got him a small little Roary Car. Since DS2 loves to eat, I plan to put some chocolate or some baby food in a box and wrap it up, so that when DS1 opens his toys, DS2 gets to open his presents too. However much I paid for toys for DS1, I will reimburse and put it in DS2's bank. It is just too scary with the toys we have at home. It's all over the house but what else can I get a ltitle 5 year old besides toys? He will not appreciate other things but toys. 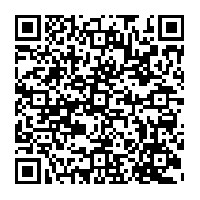 Though, my sister told me, you should get him a Leappad Explorer. I haven't been up to date on the kid's toys lately, tried googling it and apparently, everywhere is sold out. Called my husband, told him about it, said the only sites that are selling now are all over $190, do we want to pay that much. Hubby said no, if we can't get it for Christmas, we can get it for his birthday. Though, he tried goign to the Toysrus near his apartment and found that on Sunday, there were stock coming in and if he were to be the first few customers in line by 6am, he will get it. So... I got a text from my husband (He lives in Arizona while we live in Texas) at 7am showing me pictures of people standing in line in the rain. We texted back and forth and in my heart, I was telling him… good luck, if I were to be you, I would have been home sleeping under my comforter. 30 minutes later, I’ve received another text from him saying that he got it. I guess it was worth standing in line after all. Though, after including everything, the Leap pad Explorer set became over $150. Well, we just hope he likes it. Hopefully you all got something special and nice for your kids…. Merry Christmas all! Merry Christmas to all from BubuBibi!!! What do you do when you are down? ?